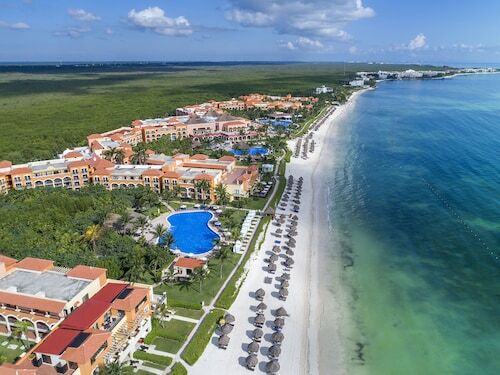 The Riviera Maya on the Caribbean coast of Mexico’s Yucatán Peninsula is a relaxing mix of picture-perfect tropical beaches, stylish resorts, breathtaking aquatic wonders and some of the most popular archeological sites in Mexico. 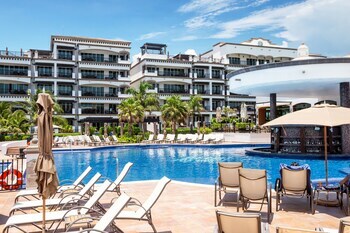 The resort town of Playa del Carmen is a great place to begin your Riviera Maya adventure and offers superb beaches, dining and nightlife. 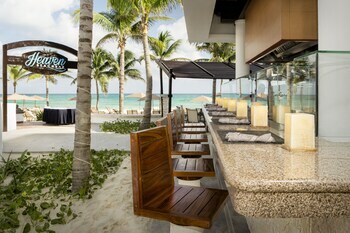 From Playa, hop on a ferry to Cozumel, an island endowed with a rich history, world-renowned dive sites and lush jungles. Cozumel’s main town, San Miguel, is home to the Museum of the Island of Cozumel (Museo de la Isla de Cozumel), an excellent place to learn about the island’s Mayan past as well as the evolution of the surrounding marine park. 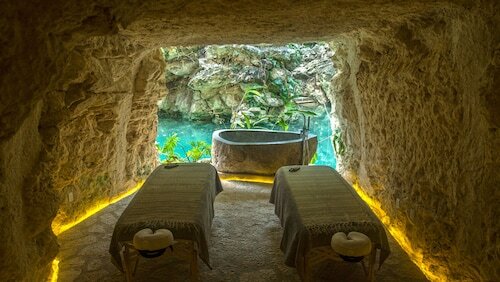 Head to Cozumel’s south where, in the Chankanaab National Park, you can explore extensive botanical gardens, swim with dolphins at Dolphin Discovery and unwind in one of the many health spas. Further south from Chankanaab is the relaxing Palancar Beach, where the water is clear and calm enough to spot fish from the shore. 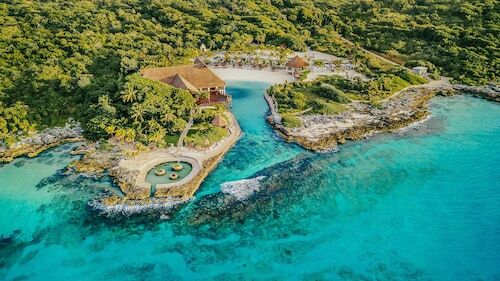 Head to Punta Sur Ecological Park on the island’s southern tip, to see this stunning ecological reserve featuring more than 200 bird species, crocodiles, giant turtles and an ancient Mayan observatory. For more impressive archaeological sites, head back to the mainland to Chichen Itza and the Tulum Mayan Ruins. At over 1,000 years old, the wondrous ruins of Chichen Itza showcase the architectural feats of the Mayan and Toltec cultures. 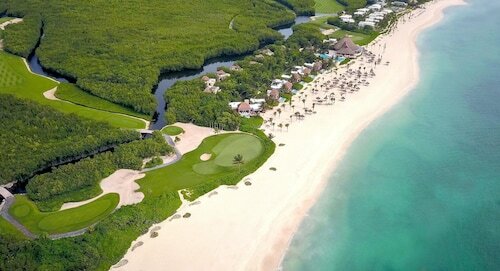 The Tulum Mayan Ruins are perched high on a dramatic stretch of Caribbean coastline. At the Kantun-Chi ecological park, swim, snorkel and dive spectacular cenotes (sinkholes), and explore tropical gardens and abundant wildlife. 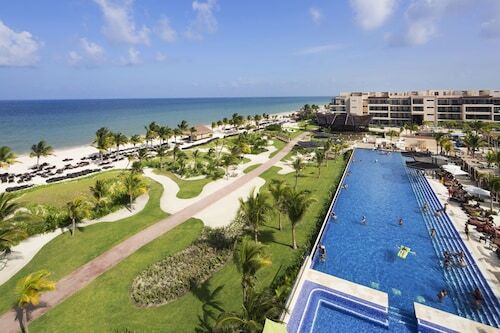 The Riviera Maya’s climate is tropical, with an average temperature of 93 F (34 C). Local transport options range from buses to colectivos (white minivans), private limos to bicycles. 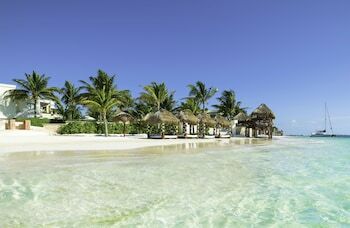 Drift away on the gentle currents with turtles and rays at one of the Riviera Maya’s most relaxing beaches. Visit one of Yucatan’s most impressive Mayan ruins, perched high on cliffs overlooking the Caribbean Sea. Commune with nature, explore ancient ruins and learn about Mayan culture at this popular theme park, home to a natural underground river. One of the Yucatán’s most impressive Mayan ruins and spectacular subterranean formations sit side by side on the sun-drenched Caribbean coast. Superb snorkeling and a laid-back atmosphere makes this Cozumel beach the sort of place visitors stop at for an afternoon and end up staying for a week. 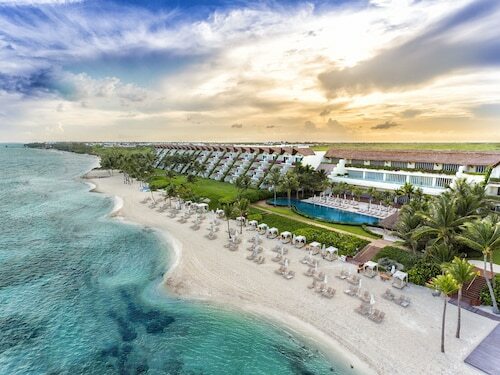 Mayan ruins, Caribbean beaches, ancient health therapies and spectacular dining and diving; some of the best features of the Riviera Maya are at this island park. Once an old luxury hotel, this museum tells the history of ancient Mayan culture and the impressive geology of the Cozumel. Take a breath of fresh sea air and lose yourself amid the environmental and historical wonders of Cozumel’s largest ecological reserve. Play dolphin trainer for a day or take an unforgettable “dorsal tow” though the sparkling waters of the Riviera Maya. Hike, swim and kayak through an ancient world of natural labyrinths and vast underground caverns. There was something to do for everyone and whether we wanted to relax or enjoy some entertainment, everything was right there! Our family vacation was great! Lovely place with great responsive staff. Beautiful facilities and area. We had a very fun and relaxing vacation. The kids pool was amazing. It is secluded which I liked. I felt like it was very secure and safe environment for my children. The food service was slow but we had a very large group so it wasn't too surprising. It was a great vacation. Clean property. 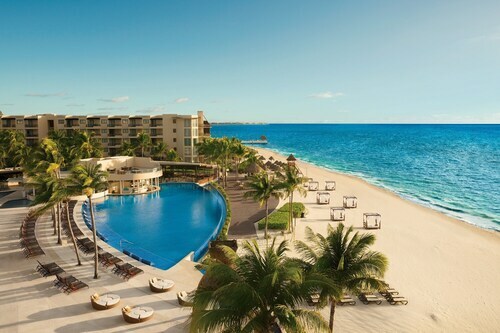 A family resort and weddings. It didn’t bother my cousin and I. We party til the end and make great friends. Overall it was a great vacation. Vancouver Intl. - Cancun Intl. Sun., 26 Jan. - Mon., 27 Jan.